It’s hard to believe that it’s been a year since we stood side by side on the grounds of Worthy Farm. 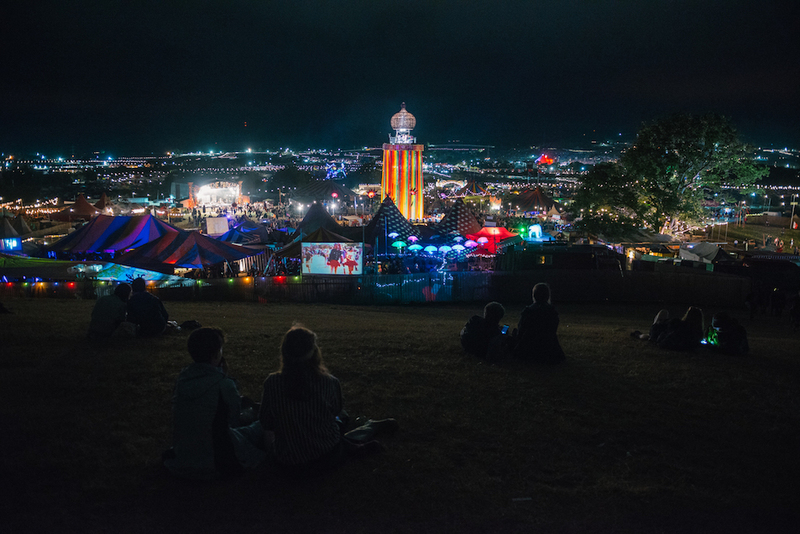 But While Glastonbury took a well-deserved rest in 2018, Oxfam’s work toward beating poverty for good has not stopped. 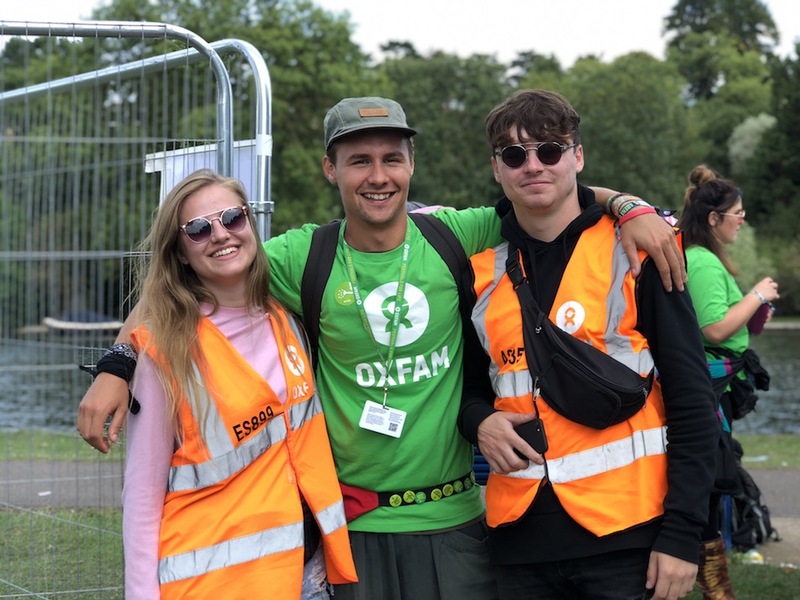 Thousands of you joined us at festivals this summer, all volunteering with Oxfam and giving a shift to help those living in poverty. We have taken stewards, campaigners and shop volunteers all over the country. 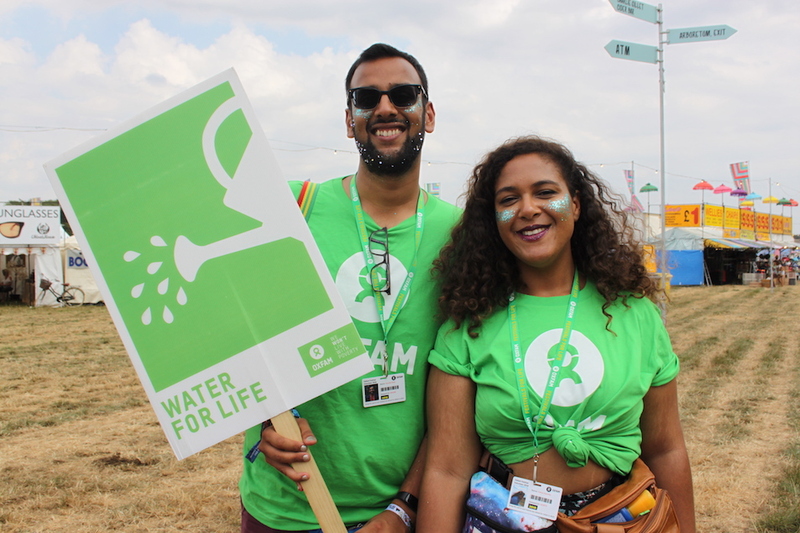 We have spoken to so many of you about Oxfam’s lifesaving work, and taken a big step in providing clean drinking water to people all around the globe. Making sure the world’s poorest people have Water For Life. No matter who you are or where you are, from a festival to a refugee camp, we all need water for life. We drink it, wash with it and don’t give a second thought to the thousands of ways it is changing our life for the better. But, even today, millions of the world’s poorest people don’t have the ease of simply turning on a tap. In Africa and Asia, the average trip for women to collect water is 6 kilometres, that’s an incredible 8000 steps every single day. Throughout 2018 we have been asking many of you to join us, to stand in solidarity with all the women and girls around the world that have to make the journey every single day. The response was overwhelming, and so many of you took part by putting a foot forward in support. 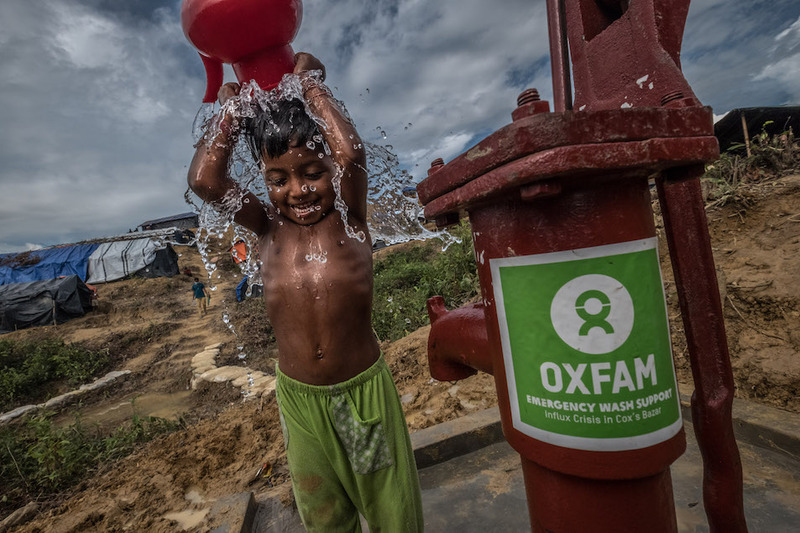 Last year Oxfam helped 5.5 million people get clean drinking water and we work with local partners in more than 90 countries around the world. From people caught up in crisis and forced to flee their homes, to farmers trying to earn a better living – time and time again we see access to water making a huge difference. If everyone had Water For Life, it would be a huge step forwards in the fight against poverty. Together we can make it happen. We’ll be back at Glastonbury in 2019, and you can come and join us by being a part of our volunteering community. Whether you join us a steward to point us in the right direction, join us as a campaigner to make some noise on our campaign, or join us as shop volunteer to kit us out with glits and glamour – you and thousands of others at Glastonbury will be making change happen, and help in the fight to beat poverty for good. You can sign up to be part of our 2,000 strong Glastonbury volunteering team in 2019. Go to our website here for more information. See you in the field soon!